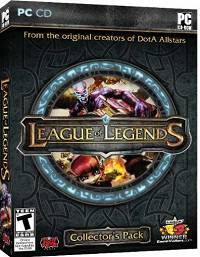 Games Like League of Legends: More MOBA Games '+g+"
Check Our list of multiplayer online battle arena (MOBA) games like League of Legends (LoL) which offers similar gameplay. League of Legends is a free to play competitive MOBA video game developed and published by Riot Games. The gameplay mixes the elements of Real-Time Strategy with Role-Playing games where the player takes the role of a Summoner and controls their champions in battlefield against other players in teams. Both summoners and champions gain experience points, gold and items for each battle they participate in. Dota 2 is a free to play action real-time strategy MOBA video game and official sequel to Defense of the Ancients (DotA: Allstars), developed by Valve Corporation for Microsoft Windows, Mac OS X and Linux. The gameplay of Dota 2 is similar to DotA: Allstars, where five players control individual hero characters and defend their base by fighting against other heroes or computer generated monsters with an objective of destroying the opposing team's Ancient. Players gain gold and experience by killing other heroes or monsters and buy equipment and items to improve heroes stats. Heroes of Newerth is a free-to-play, MOBA-game developed by S2 Games. The game is based on the popular Warcraft III map (mod): Defense of the Ancients(DotA) with cutting edge graphics and fast-paced gameplay. The game pits two teams of players against each other with the goal of is destroy the central structure of enemy base. SMITE is a free-to-play online battleground between gods published by Hi-Rez Studios. It takes the MOBA genre into a third-person perspective instead of RTS view where the players chooses from a selection of mythological gods and take part in arena combat, using powers and team tactics against other player-controlled gods and non-player controlled minions. Bloodline Champions is a free-to-play online player vs. player(PvP) arena game developed by Stunlock Studios. It is an highly skill based arena game where players engage in short, intense battles against each other in arenas up to 10 players(5v5). AirMech(AM) is a free-to-play futuristic MOBA video game developed and published by Carbon Games. AirMech puts you directly in command of a powerful transforming robot that can fly above the battle as well as land on the ground to dominate the battlefield. Panzar,.....if you can think of more, then don't forget to mention it in comments.